Standing near the old apple orchard. The saw is for cutting logs used to construct waterbars and check dams. The red pants are Kevlar chainsaw chaps. 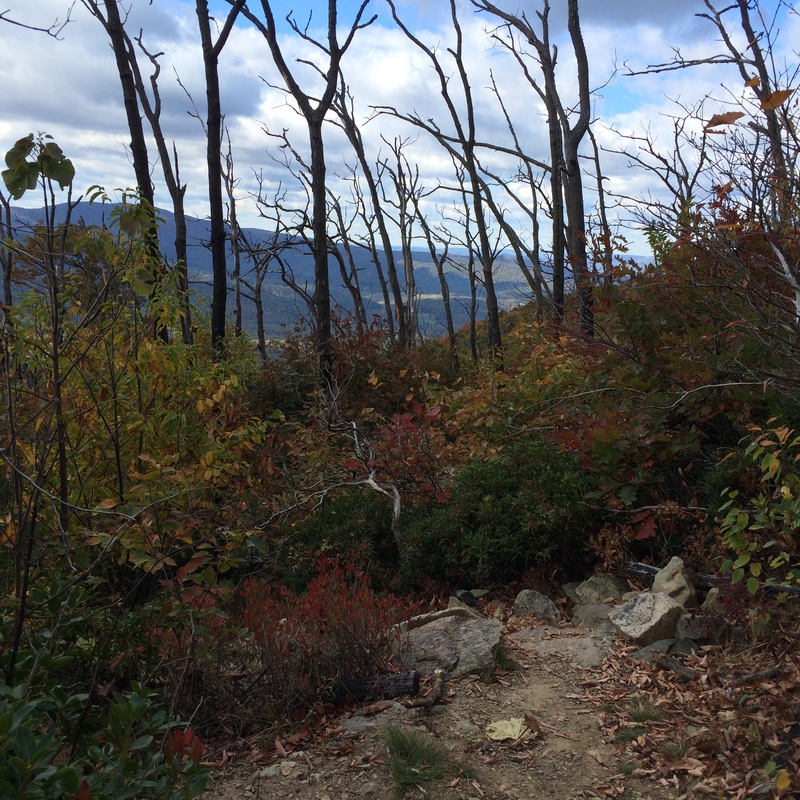 Shenandoah National Park, October 17 – 18, 2015 — Remember the secret word on Graucho Marx quiz show “You Bet Your Life?” https://en.wikipedia.org/wiki/You_Bet_Your_Life I have a new one for ya. This was the final regularly scheduled Hoodlums work weekend of the year. I took a crew of four including myself on my AT section to finish the rehab started earlier this year. My arrival was timed for dawn plus a few minutes to beat the traffic. It’s peak leaf season the the peepers cars clog Skyline Drive bumper to bumper for all 105 mikes if the park. 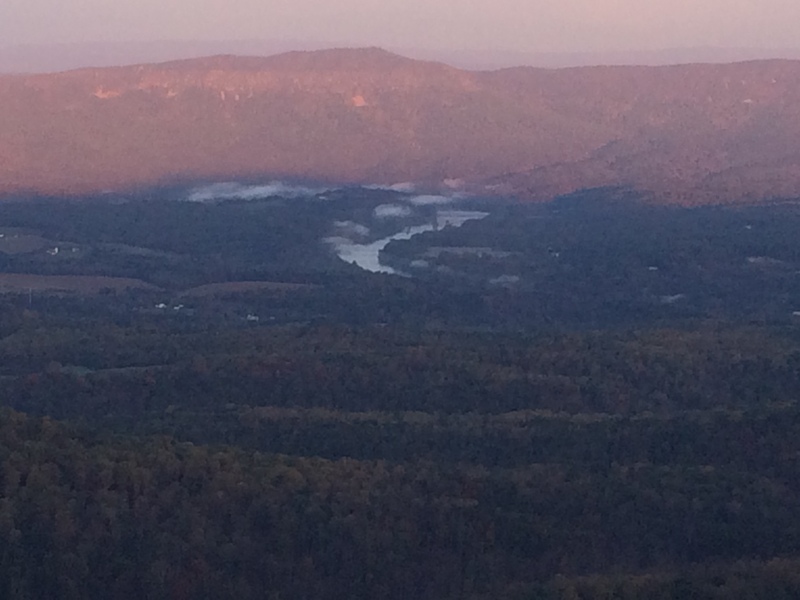 This morning it was 28F when those of us who camped at Indian Run popped out of our mummy bags. I slept toasty and warm. Hated to get up except that the thought of hot coffee twisted my arm. I spent this morning inventorying all the erosion control structures on my trail section. Along its 1.3 mile length, it has 58 waterbars, 45 check dams, 3 swailes, 14 stone steps, 20 feet of stone retaining wall and one stone culvert. 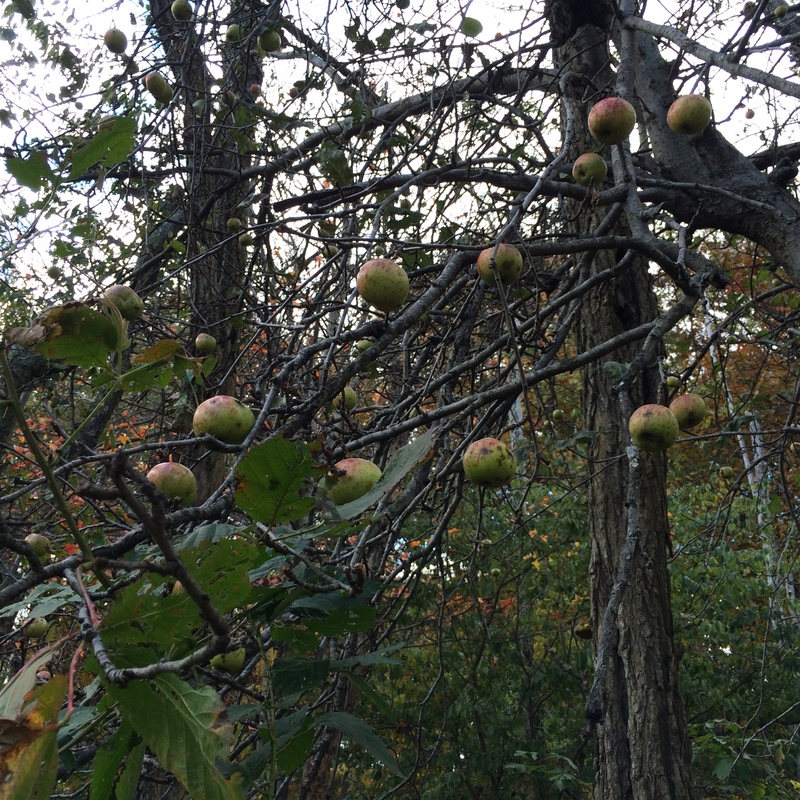 Milam apples were the most common type grown in the area. Not sure these are those. 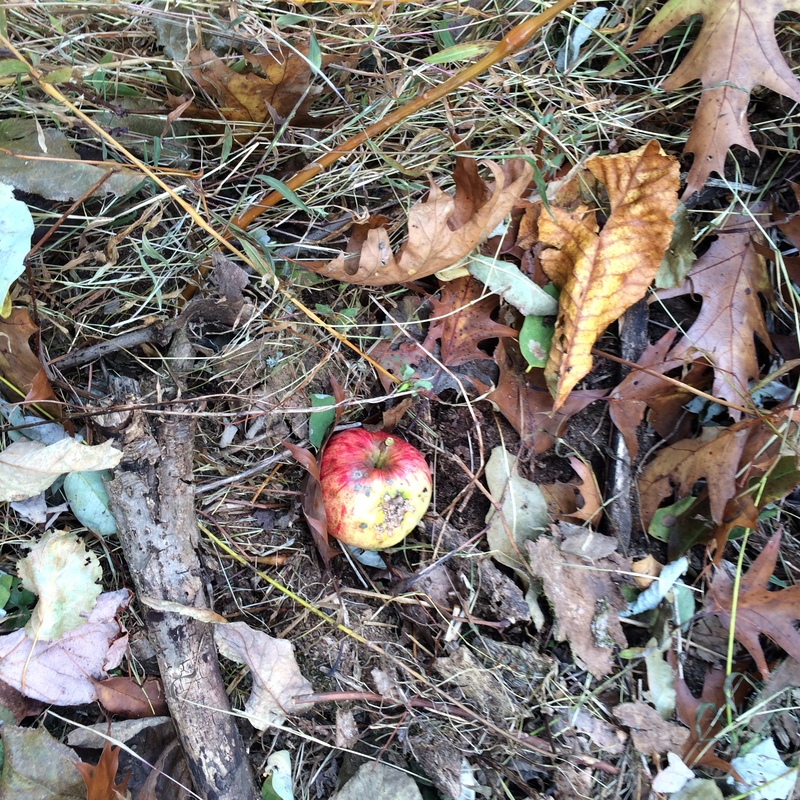 My trail skirts an old apple orchard that was part of a farm when the land was condemned to create the park. You can see were the bears have trampled the vegetation enroute to their Oktober Apfel Fest. Autumn is slowly asserting itself. The colors are shifting from the the energy of spring toward the reds and greens of the Christmas season. Snow and a quiet winter sleep are just over the horizon. Having hiked through your section of the AT in SNP three weeks ago (just before the heavy rains) I can assure you it was in good shape then . . . as was the rest of the trail in SNP. Was there much damage or erosion as a result of the rain? The trail was in great shape. Actually, you didn’t hike far enough north to get to my section which is about three miles south of the northern boundary. Though I will not be “in” or “on” your section until 2017 (barring bad attitude or bad knees), thank you for your service. I am training for an April 2017 NOBO on sections here in PA. Getting “rocked” while testing both the attitude and the knees. 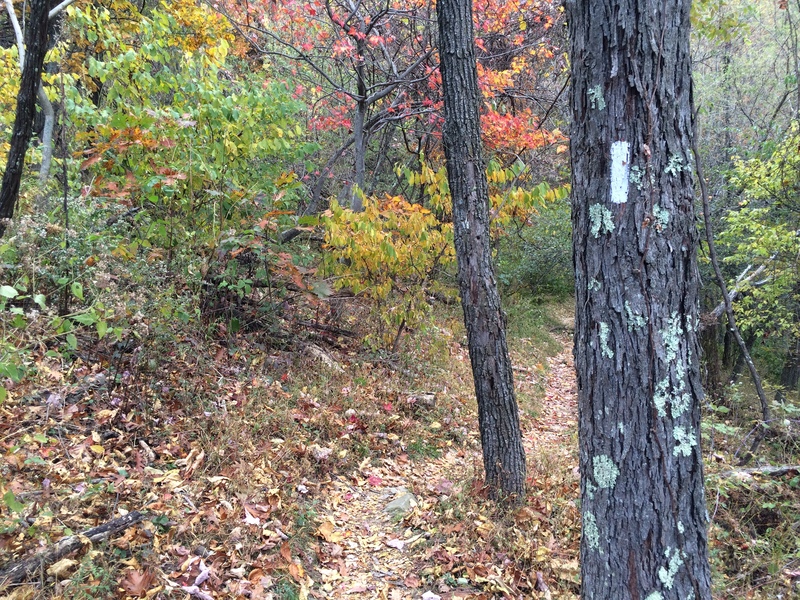 The thru’s are, well, thru but I still meet several hikers each time out doing the same thing. The trail does get use year round and it’s folks like you and your crews that make the experience positive. See you in SNP in ’17! Thanks to you and your crew, and all AT crews, for all your hard work! 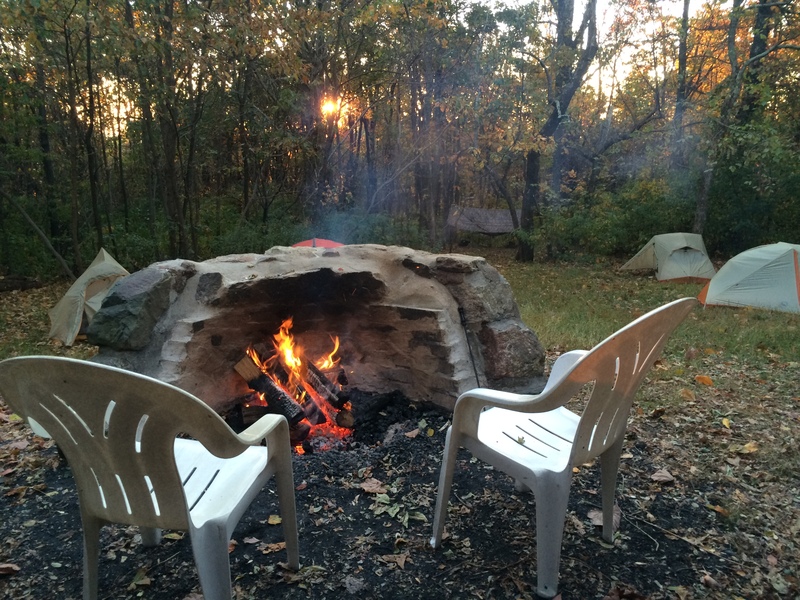 Looks like my friend and I will be taking a 2016 camping vacation in Shenandoah in June. Just need to nail down dates for sure. So, appreciate you making the place nice for us! Any chance of you being in the area then? Do you deliver nice hot breakfast to the campground??? That would be fun but I was also hoping for scrambled eggs, French toast or maybe a nice hot waffle……..Will let you know when I have a firm date, Be nice if you were in the area then! I’ll probably be here. It would be good to see you again. As for the eats, if you’re staying in one of the park campgrounds, there are restaurants everywhere! Lumber-sexual is a new term to me. But, I have seen some randy references to lumberjacks in the past. I like your outfit. The pants are dashing. Last night, we watched an episode of Ask This Old House on PBS. They demonstrated how effective those chaps are at preventing cuts to your thighs. Keep them on while you work. Beautiful scenery. Our trees are coming along slowly. Peak may be in a week. It is very windy today. Many of those pretty leaves are finding their way to my back yard. 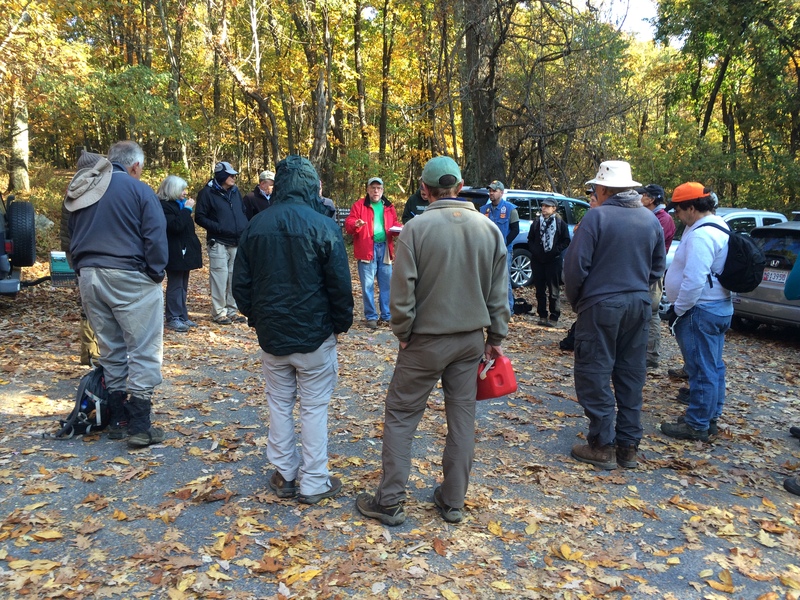 Sawyers go through a certification process with the National Park Service. Personal Protective Equipment (PPE) consisting of helmet, hearing and eye protection, gloves, chaps, steel-toed boots, and first aid kit are mandatory — No ifs, ands or buts. 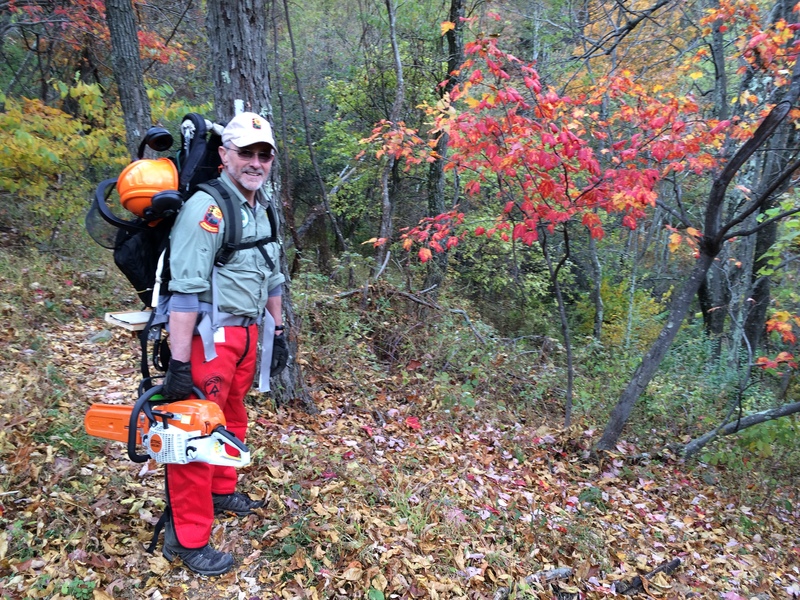 PPE, all but the gloves and boots is provided free to certified sawyers by the Appalachian Trail Conservancy. It also pays for CPR and first aid certifications which also are required every three years. We also must have a swamper present when we saw. No going alone. I think the lumbersexual variant on the hipster lifestyle started in Portland in the grunge band era. It has spread since. It’s a running joke in our crew being that most of us are at or near retirement with notable exceptions. In reality we would hardly qualify.